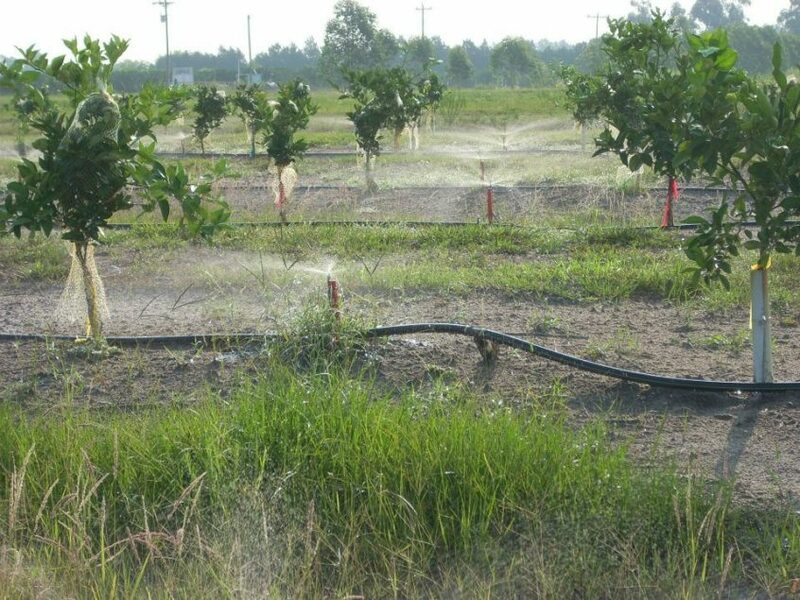 The Florida Department of Agriculture and Consumer Services (FDACS) Office of Agricultural Water Policy has a new citrus cost-share program to assist with irrigation improvements on groves that are being replanted. FDACS announced it has set aside roughly $3 million for the Citrus Renovation Irrigation Support Program (CRISP). The program is designed to be a 75 percent cost share for the irrigation portion of a grove re-establishment project. What’s covered: Irrigation and irrigation components, including main and sub-main lines, poly tubing, emitters, valves, irrigation designs, pumps, fertilizer injection equipment, automation components, soil moisture sensors, and weather stations — all of which will have to be purchased after the project has been approved. What’s not covered: Trees, tree planting, tree removal and disposal, land preparation, wells, and engines not necessary for automation. There will be a very tight window starting June 15 for applications to be accepted, approved and projects completed. Projects will be considered in “first come, first served” order from the time of submission of a completed application. Growers will need to have two verifiable quotes for the irrigation related portions of re-establishment projects that they are going to submit for cost share. Projects will have to have trees in the ground by next May to get reimbursed. See the CRISP Summary and Cover Sheet 2018-19 for some conditions that growers need to be able to meet to qualify. Susie Bishop (Highlands Soil & Water Conservation District) at (863) 402-7020 (office), (863) 381-1098 (cell) or sbishop@highlandsswcd.org. Kayla Nickerson (FDACS) at (863) 451-3423 (office), (850) 688-5628 (cell) or kayla.nickerson@freshfromflorida.com.